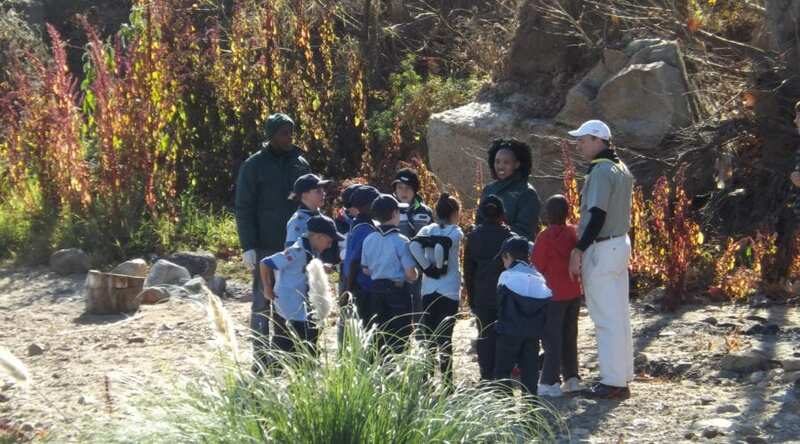 In June residents of many Johannesburg suburbs had a fantastic opportunity to get involved in National Environment Month and make a difference to their environment. Community members pitched in by participating in a massive clean-up of the Braamfontein Spruit, which took place on Saturday the 7th of June two days after World Environment Day. All residents, businesses, cycling clubs, walking and running clubs as well as schools were welcomed and encouraged to get involved. Clean-up activities started at 9am on Saturday morning along a 25km stretch of the river course. The Braamfontein Spruit is a hub of activities as walkers, joggers, mountain bikers and picnickers embrace this extensive stretch of natural landscape. Suburbs bordered by the water course include Melville, Greenside, Randburg, Parkhurst, Craighall Park, Sandton, Bryanston and Sunninghill. During the event TGRC provided much needed water in recyclable glass bottles for the thirsty community members as well as heavy duty gloves to lend a hand to the helping hands! The tags on the glass bottles encouraged recycling and assisted individuals to find their nearest glass recycling point simply by using their phones to SMS their suburb name to find their local glass bank. Media were invited and attendance included community media and we secured great coverage for the National Environment Month event.